WILX 10:– Trump Tonic, an orange-flavored vodka is being made inside an old post office in Newport, Arkansas and could be coming to a store shelf near you. “We’re off and running,” J. Ross Jones says. Jones is one of the owners at Postmaster Spirits and Craft Distillery, a new operation that bottles liquor next to what used to be a mailroom on Hazel Street. 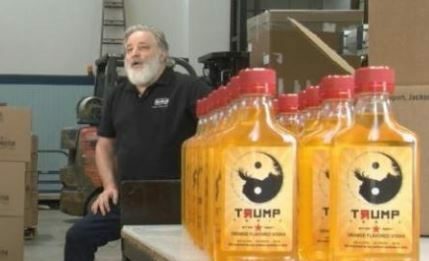 Postmaster Spirits received its first order from a distributor on Friday, asking for more than 100 cases of Trump Tonic, which is also called Triumph Tonic, depending on how you want to say it. “We like to say here that we are politically incorrect and equal-opportunity offenders,” Jones says. While the business is still in its infancy, Jones sees potential in packing a political punch. Flavors coming soon include: MMM-Peach and Stormy’s Liqueur: Passionfruit Flavored, according to Jones. Response to Postmaster’s debut product has been, well, huge. “Hashtag no fake booze,” Jones says. Half-pints of Trump Tonic sell for a retail price of $2.99 each. Right now, products from Postmaster Spirits are only being sold in Arkansas, but Jones hopes to eventually reach a national consumer base.